Anterior Cruciate Ligament (ACL) injuries are often caused by sporting injury whereby a patient hyperextends the knee or is hit from the side. Twisting injuries also cause anterior cruciate ligament injuries. Often a player will hear a pop or snap when the injury occurs, and the knee will swell almost immediately. This is due to rupture of the blood vessel within the anterior cruciate ligament when the ligament snaps. Patients who have ACL injuries often find it difficult to walk and bend the knee for the first few weeks. Surgeons will be unable to fully examine the knee during this time as it is often too painful. Immediate imaging should include an Xray to determine whether any bony injury has taken place. Often there is a small piece of bone on the lateral side of the tibia which suggests an ACL injury has taken place. This is called a Segond lesion. Operating on the knee straight away after an anterior cruciate ligament injury will often not yield the best results. It may cause a condition known as Arthrofibrosis. This is a condition where scar tissue clogs up the knee and causes it to stiffen. We do not know why exactly this occurs, but it is more common in patients who are operated on before 6 weeks after their ACL rupture. Once the knee can be assessed, it is usually relatively clear when the knee has lost its ACL. Often an MRI will be done as well to determine what other injuries have occurred. This helps the surgeon make a decision about how extensive the surgery will be. It will also allow special equipment to be ordered in when there are other major injuries such as bucket handle meniscal tears. This sometimes is amenable to fixing. When it is, special anchors are used to fix the meniscus. Dr Chien-Wen Liew performs ACL surgery via arthroscopic means. It is his preference to perform the surgery using hamstrings as a graft as this has been shown in studies to cause very little donor site morbidity. This means that people who have their hamstrings used as grafts often do not even notice the absence of their hamstrings as it is done in such a way that there are other structures that can take over. Some MRI studies have shown that a structure regenerates where the hamstring has been taken from. This may result in very little residual deficit. There is knowledge that there might be some weakness right at the end of knee flexion in some individuals. The other option for a graft is the patellar tendon attached to two bone blocks. This is biomechanically stronger than hamstring and integrates faster into the tunnels created to accept the bone. However this has the issue of pain on the front of the knee. This is a relatively common occurrence and may be troublesome to some patients, especially those who might need to kneel down for work or leisure. 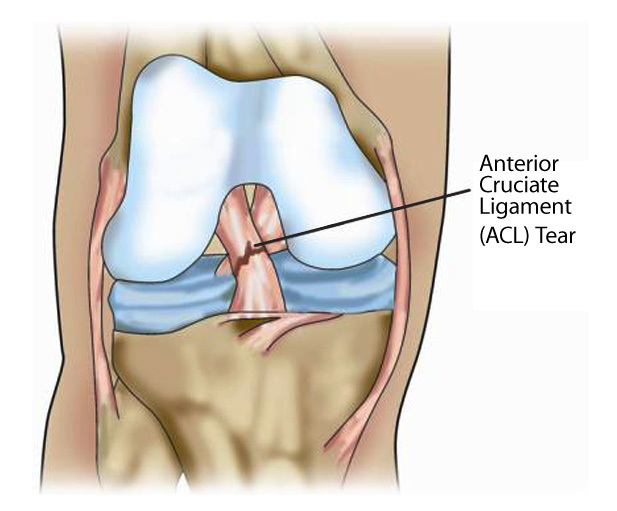 Please go to Anterior Cruciate Ligament Reconstruction for more information.